Angled brushes with synthetic bristles give the best contouring results since they really let you control the placement of the product on your skin. White Handled Angled Brush from Nanshy has landed! The latest addition to our famous Face Brushes – Angled Brush. Due to comments and opinions from our lovely customers/followers we are introducing the very new face brush. It has the same synthetic bristles as our previous brushes. Dense and soft for best product application. As always 100% cruelty-free! The head is round angled for easy application of blush or bronzer. Thick handle is comfortable to hold and work with. 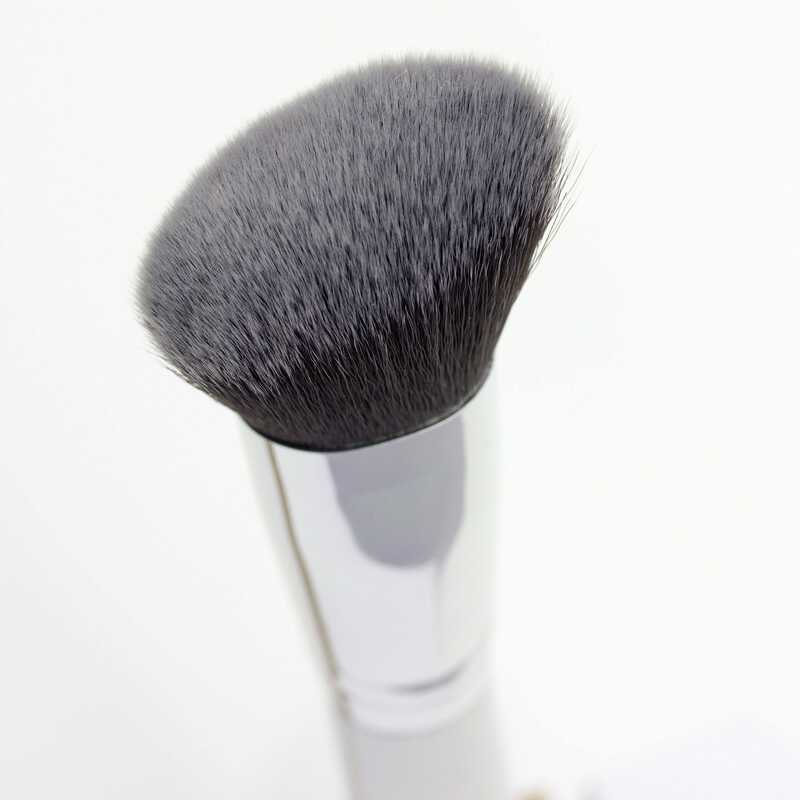 This Angled Brush allows for contouring of your cheekbones to narrow your face and much more. What would YOU use it for? Are you planning to purchase or maybe you own it? Let us know by commenting below!